C lowns Canada is the National Clown organization of Canada and has members all across Canada with directors and Ambassadors in each province. Clowns in other countries are allowed to join and many are from the United States. Members of Clowns Canada include people from all walks of life. Each has their own reason for clowning. For some it’s a rewarding hobby, for others a chance to make a little extra income and for others, a living. The aim of Clowns Canada is to bring those interested in the Art of Clowning together in a fraternity. Most of the thrust of the organization, besides keeping members informed, is to provide learning experiences to upgrade those that are clowns and to assist the newcomers. So every 2 years “Clown Carnavale” is held in different locations in Canada. Here clowns of all experiences from novice to the professional gather from across Canada and the U.S. to learn from experts in various fields who provide lectures, workshops and practical experiences in the various disciplines that go together to make-up the Art of Clowning. 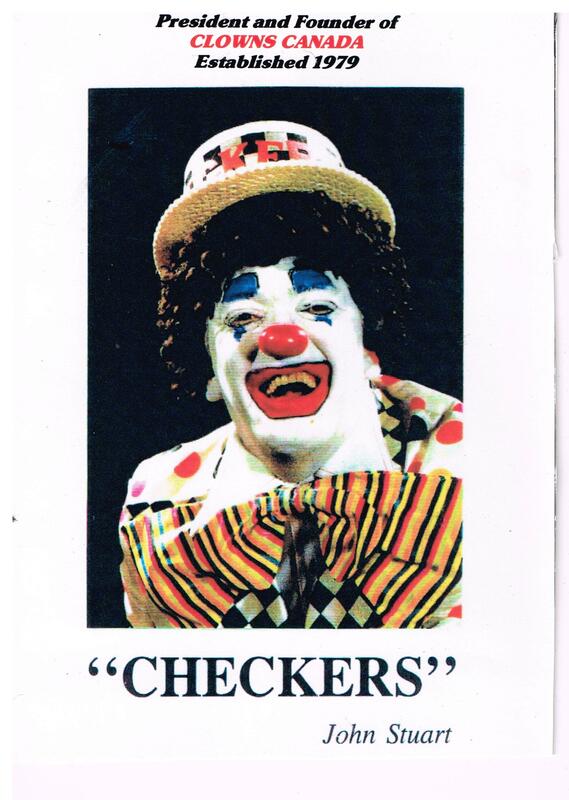 Clowns Canada was founded in 1979 in Moncton, New Brunswick by John “Checkers ”Stuart. He was the president from its very beginnings until his death on Dec. 8, 1988. His daughter was interim president for 1989. Then Beth “Candee the Clown” Mattinson was president from 1990-1993 was also Treasurer from 1994-1996. (officers changed at Clown Carnavale each year). Anyone who held the office of President becomes a Life Time Member of Clowns Canada as Beth is today. One interesting thing to note - the words "Carnavale" and "Troupes" (instead of Allies) - were chosen at the very beginning because the words and their spellings were the same in both English and French, and the charter members felt it was important for a Canadian organization to use bilingual words where possible. Clowns Canada is still keeping the art of clowning alive and well, and continues to grow and improve. So if you’re not a member already, contact us today. Learn new skills, share those you have with others who love clowning around, and be sure and attend the bi-annual “Clown Carnavale” to get your “clown batteries” recharged.